This is a 30-second Ted Cruz campaign ad. Watch it. 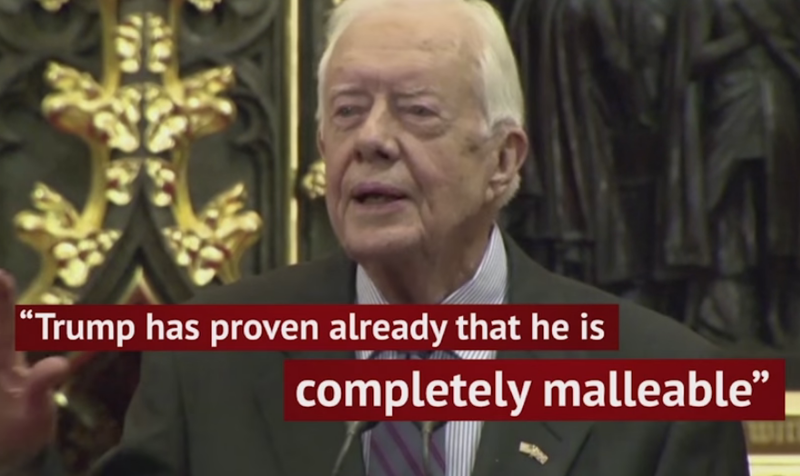 Listen to Carter's words. 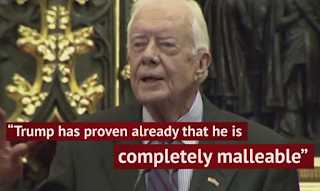 Jimmy Carter would pick Trump over Cruz because Trump has no principles and Cruz does. Jimmy knows Trump will sell-out because he has no deeply held beliefs and Cruz does. Everything that Trump says he believes today, he believed the exact opposite of last decade, or last year, or last month, or this morning. Simple definition: "capable of being easily changed or influenced"
b : having a capacity for adaptive change"